Last night (19 Feb 2015) Morgan Spurlock's show "Inside Man" premiered their episode about Bitcoin on CNN. Sure enough there were scenes of him paying for and receiving bitcoin. 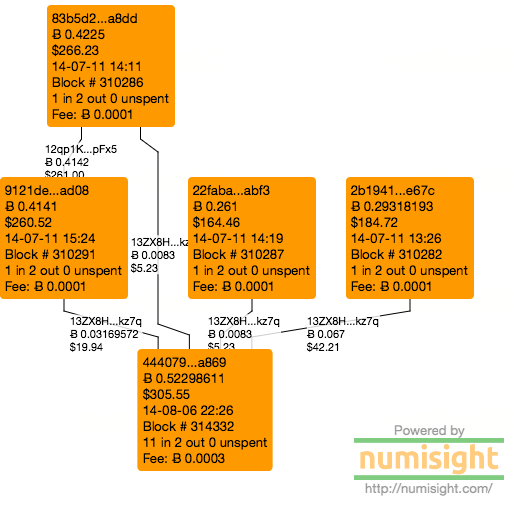 And since the transactions occured on the blockchain, they are available for proof. The first bitcoins on his show is a small $0.25 gift for his brand new install of an Aegis Bitcoin Wallet he used for the whole show. His next task was to buy a whole bitcoin at an exchange. 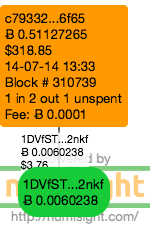 After being inspired by Andreas Antonopoulos, he bought an entire bitcoin for $630 (this was filmed on 7 Jul 2014, so the price was good then). Next he goes to upstate New York, but because of the magic of television editing we see him spending some of that hard bought bitcoin. First, he buys a pizza, or two. Thanks to the nice steady and straight on shot of the barcode we have a high level of confidence this is indeed the transaction where he bought pizza. 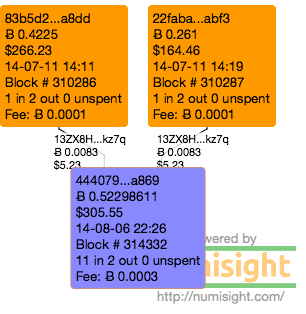 The blue transaction is when the pizza parlor cashes out their bitcoin (at a loss). Next he buys some groceries. 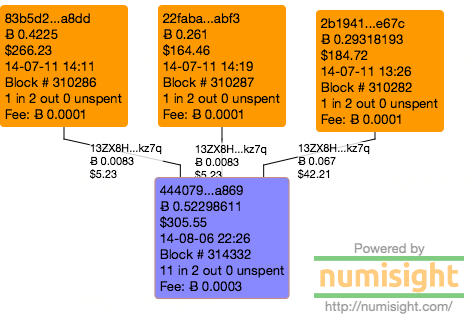 And apparently they manage their bitcoins on the same address, because they also get cleared out in the same transaction. Then after all that hard shopping and eating he gets a massage. Would you believe the massage place works off of the same vendor? Actually, I'm not terribly sure about this one. 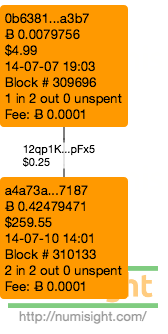 Because in the video the transaction is stated as $20, and I cannot make out any QR codes nor is an exact BTC amount stated. But this is the closest one I can see. (Come on CNN, what's it going to take to get Inside Man filmed in 4K?) But it makes sense if they filed on one day and had only one vendor that needed to fill out a release. I'm sure they got a release just in case some snoopy person posts the transactions on some blog somewhere. Next in the show we see a scene where Morgan "buys" airfare and hotel to the bitcoin mine he is about to visit. This is a bit of editing magic to provide a nice segue to the next segment. But the dates on the travel drop down start after the next transaction we will see. 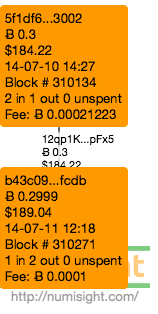 Furthermore, the two bitcoin addresses show zero transaction (which I won't link to as I don't want to encourage dust and tags to go there). But the point of the segment is that yes, you can book travel and hotels with bitcoin. Now we go back in time to his visit where he worked briefly at a Bitcoin mine. 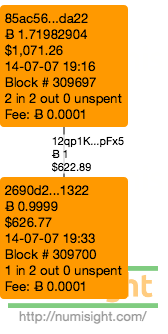 He gets paid 0.3 BTC for his labors and gets to see a snazzy animation of his transaction showing up at blockchain.info. Next he works with the (former) FBI agent who helped bring down the original Silk Road. Yea, we won't see him on the stand but he will do a CNN interview. (Makes you think the prosecution had a better strategy in mind than the defense.) 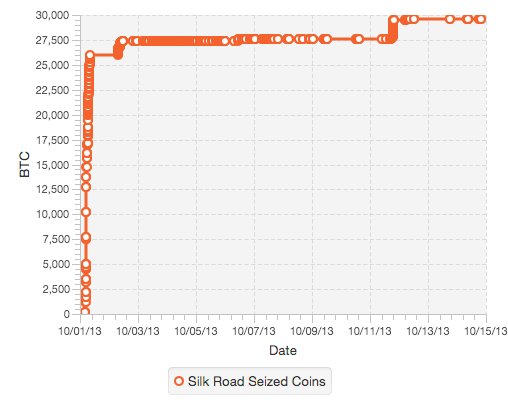 Morgan then buys a "Fauxlex" from Silk Road 2. Except I doubt he used his Aegis wallet. 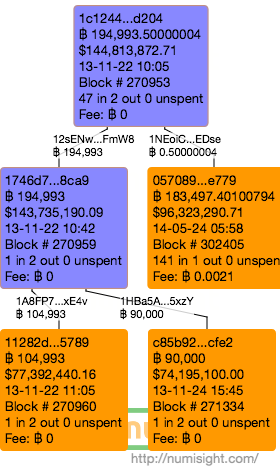 You see, Morgan's wallet address seems to be 12qp1Ksm8NDxaermZpf4wbpdC2FSyupFx5, and all the outbound transactions I see coming from that address are either (a) too small or (b) go through Coinbase. 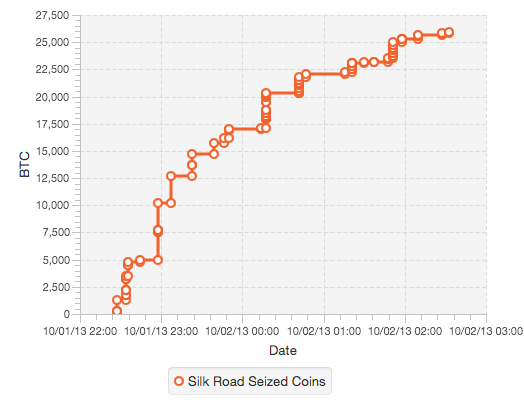 I'de like to think that the Silk Road 2.0 operators aren't so dumb as to process transactions through Coinbase, but I've been wrong before. Now after that late night on the deep web Morgan wakes up and is a little groggy, so he needs to get some coffee. He stumbles upon one vendor who will sell him coffee... for a $25 minimum charge. His complaint is that he loses money on the volatility if he goes too low. But this is really an educational opportunity because there are service providers (such as BitPay who had a banner at the Bitcoin center scene) who will immediately cash out your bitcoin to fiat at the time of your transaction. But Morgan has a large crew so buying 10 cups of coffee is actually a reasonable course of action. Finally, he finishes the show at the Grumpy Cafe and recruits a new vendor to accept bitcoin. 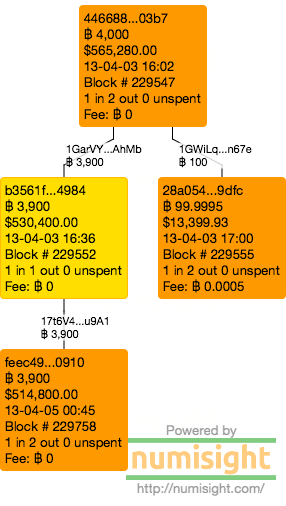 Although I don't think he has fully drank the Kool-aid on this one (being a coffee shop and all) since the payment is still sitting in the Unspent Transaction Outputs pool. But what is interesting is what wasn't shown. By my reckoning Morgan also bought some bitcoin from Coinbase, and there were lots of vendors who used Coinbase to clear their transactions. 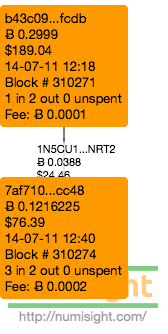 Most of those transactions occurred off screen, and some of them were duplicates (like me I doubt Morgan can keep from going to the grocery store every day or two). All in all I thought it was a fairly balanced piece on Bitcoin. It's not often you get a journalist to actually use bitcoin before reporting on it.